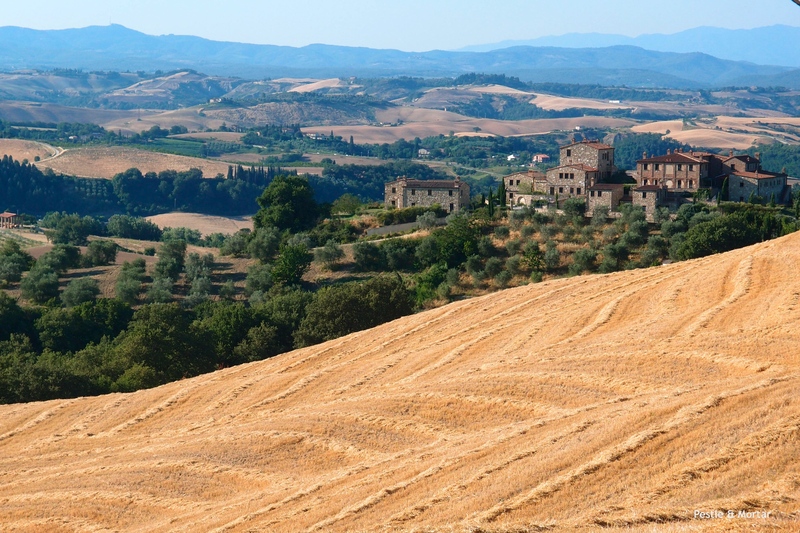 20 miles or so south of Florence, in the rural heart of Tuscany, a beautiful landscape emerges – gentle rolling hills dotted with biblical trees, fields ablaze with sunflowers, majestic castles and medieval towns towering above a blanket of vineyards. 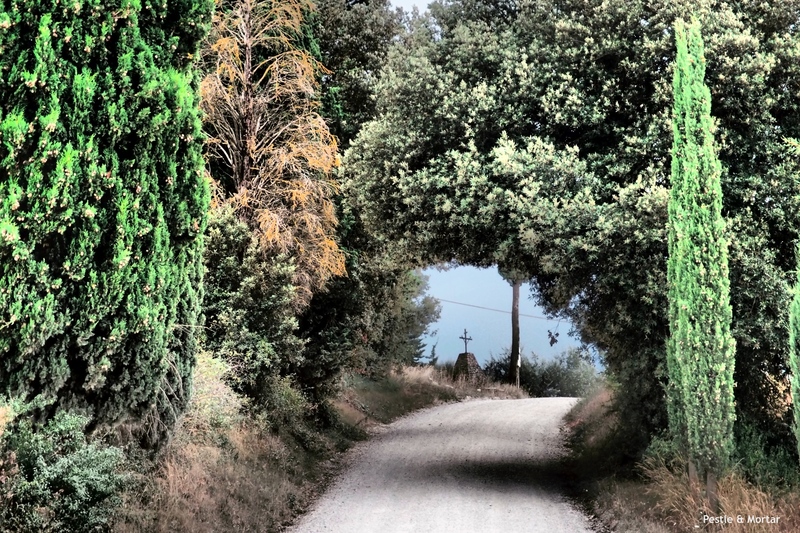 The August sky was vast and clear, the air dusty from the white unpaved roads, and at the end of every winding curve there is a fattoria with its kitchen garden and olive groves. 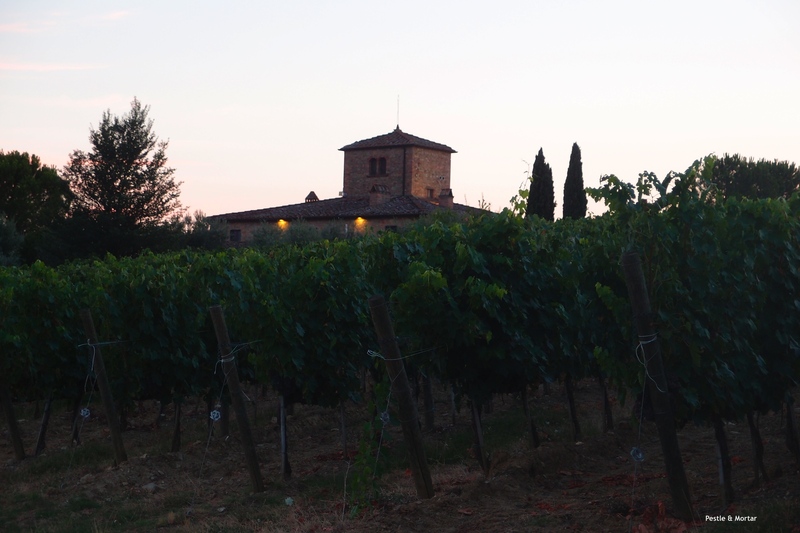 These are the characteristics of Chianti, where wine is water and everyday cooking is epic. 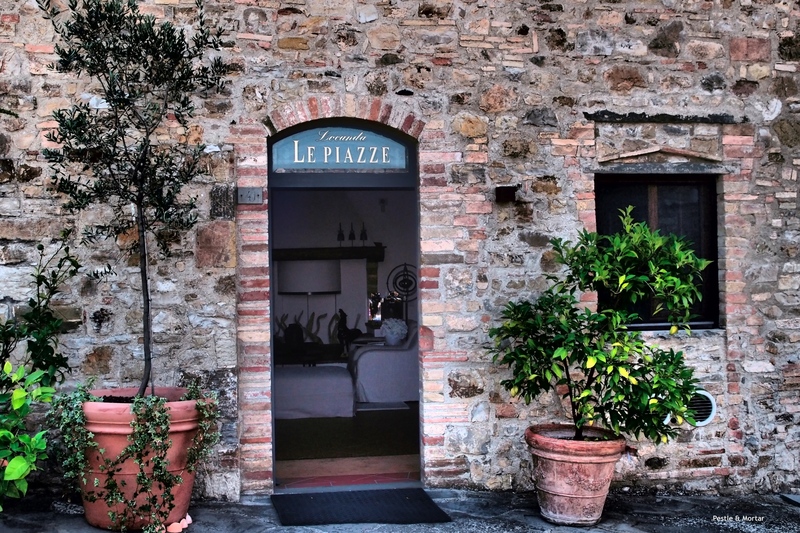 Tucked away in one of the world’s most notable wine regions, Locanda Le Piazze at Castellina in Chianti is just the hotel you will hope to find here; typical apricot stone building with terracotta roof standing above a green and scented garden peppered with blossoming olive trees. The surrounding vine-covered hills and valleys are lush – And at the edge of its grounds, there is an extraordinary view of the land beyond. 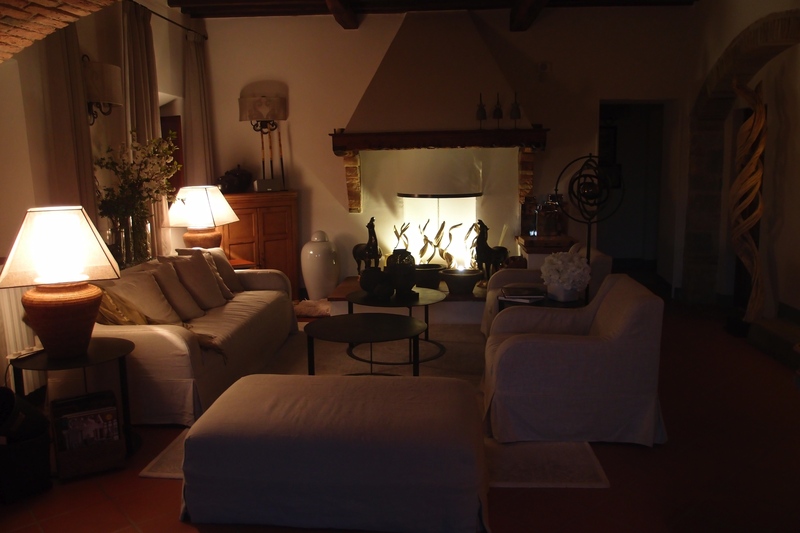 This homely boutique retreat exudes a classic Tuscan charm with a twist of contemporary glamour. Our bedroom in the main house was large and airy, with generous windows framing the rustic Chianti landscape like a pretty picture hanging on a wall. 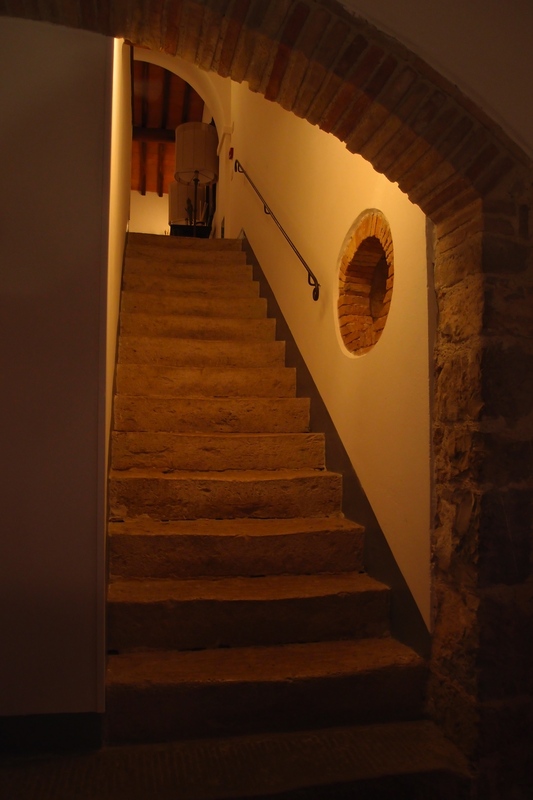 Stone staircase leads discreetly to the dining hall, which opens up to a spacious courtyard that is especially pleasing at breakfast time. And on velvety summer nights, it makes a perfect setting for private dinners, with local food its specialty. 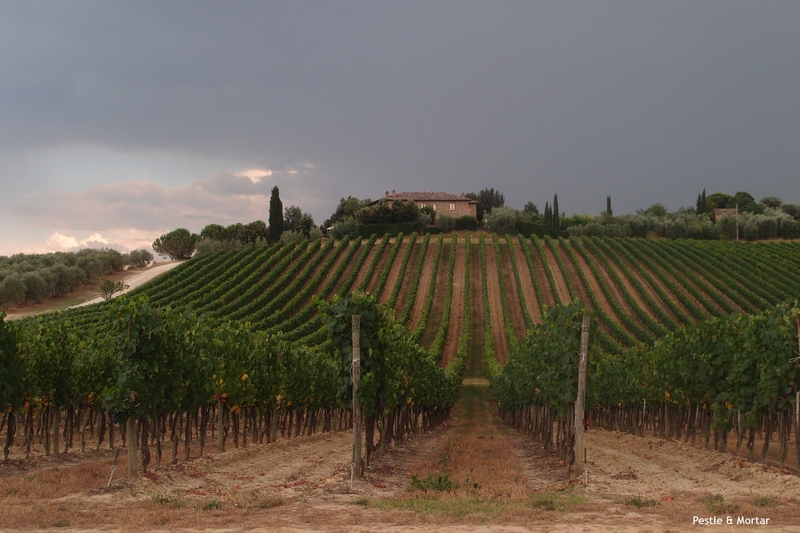 From here we visited the city of Siena that was just a short drive away, shopped at private hamlets for quality olive oils and sampled a fine selection of wines at a nearby vineyard. 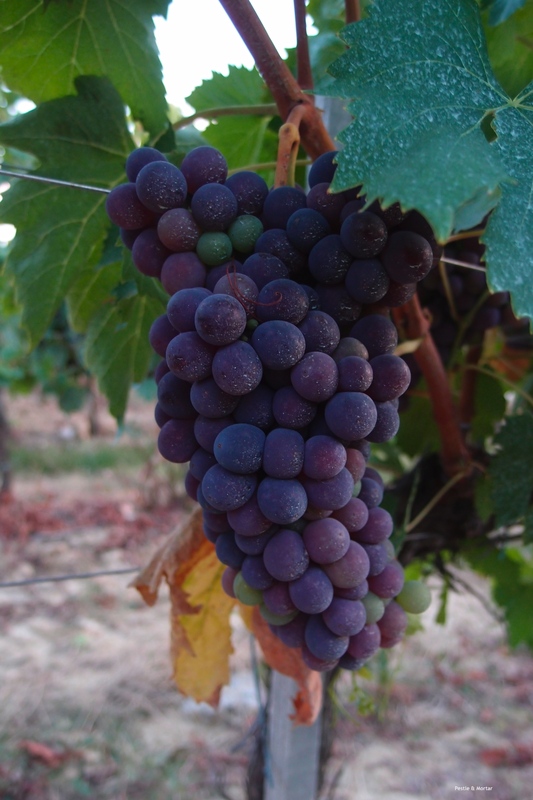 In the evenings we lounged by the pool with a fancy cocktail and at sunset, walked along ripening grape path. 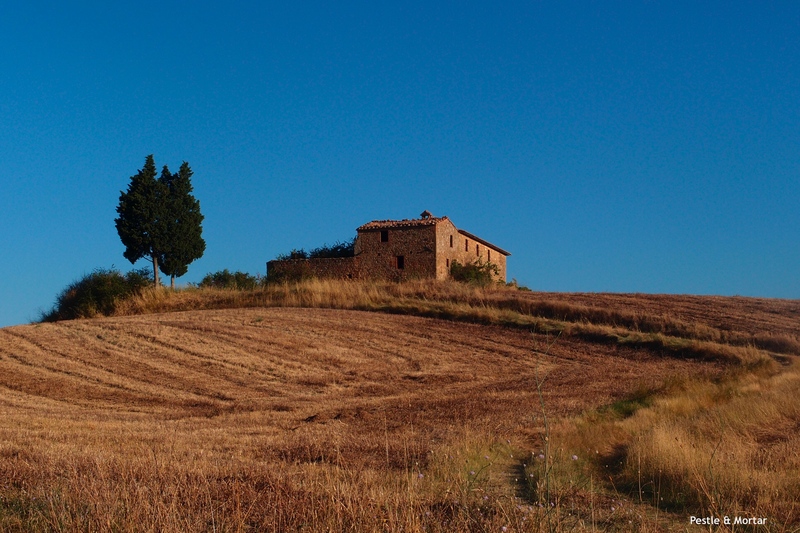 It’s so easy to get lost in this idyllic Tuscan hideaway and while everything outside swirls in complete madness, for that brief moment…we remained wonderfully remote. 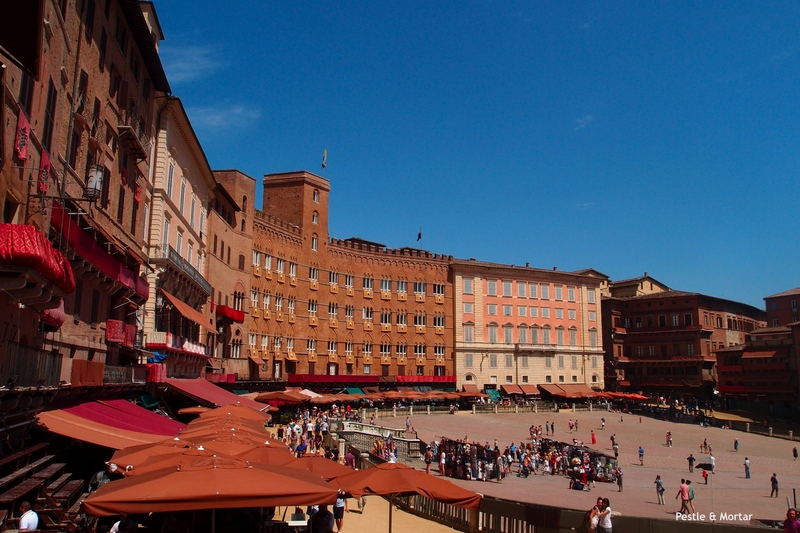 get lost in the big market of Siena, one of the largest in Tuscany selling items from Italian leather shoes, typical Tuscan pottery to local food products and curiosities. Every Wednesday, 7.30am -1pm. 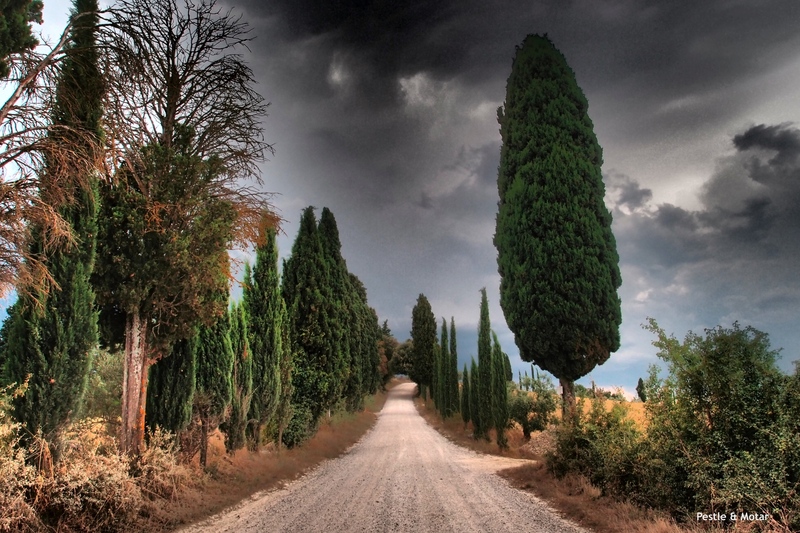 rent a bicycle and pedal across the remote landscape of Castellina in Chianti. Be forewarned that the rural back roads are long and hilly; not recommended for a laid-back cyclist like me where a quiet stroll will be most pleasant.